All posts tagged "Courtney Kaminski"
The women’s basketball team did not end the 2010-11 season on the note that it had hoped, falling to Monmouth 55-36 in the Northeast Conference Quarterfinals. The Quinnipiac women’s basketball team took control of the game in the second half and ran away with it Saturday afternoon to defeat the Fairleigh Dickinson Knights 75-56. 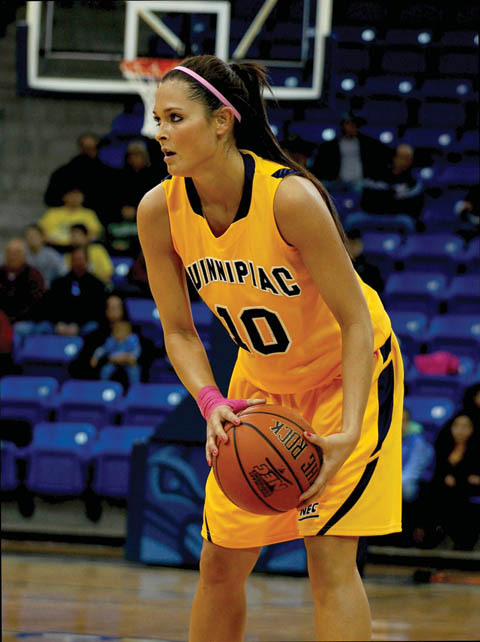 Senior Courtney Kaminski joined an elite Quinnipiac crew on Wednesday, despite a 72-60 loss to the Holy Cross Crusaders.